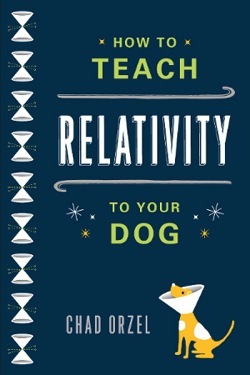 Orzel, a professor who also wrote “How to Teach Physics to your Dog,” explains in this more recent book that the technology of global positioning systems relies on a principle of the theories of relativity first formulated by Albert Einstein. A principle of the special theory of relativity holds that a clock that is in motion will “tick” increasingly more slowly as the speed of its motion increases. The general theory of relativity, on the other hand, holds that a clock runs faster the higher it is — that is, the greater its altitude in the gravitational field. The atomic clocks aboard the GPS satellites speed up because of their altitude and slow down because of the speed at which the satellites orbit the earth. At the altitude of those satellites, the clocks are quickened more than they are slowed, but they are still keeping time at a different rate than clocks on the surface of the earth. Each satellite emits a radio signal with the time on its atomic clock. The GPS unit picks up two or three of those signals, calculates the difference between the time on the satellite clock and the time on the surface of the earth, and uses that information to determine the distance to each satellite and, from that, the location of the unit on the ground. Still, I don’t read about physics because I’m interested in the practical applications so much as because I’m interested in the theories and principles. It can be mind-bending stuff, but if given enough concentration and persistence, it can lead to some moments of enlightenment about how the universe works. And studying the theories of relativity, in particular, can be an eye-opening series of reminders that things are not always what they appear to be. Orzel’s technique in this book is to explore the special and general theories of relativity, and some other matters, as though he were discussing them with his real-life dog, Emmy. This is the writer’s way of making the material more accessible to people like me, but frankly, it gets tiresome. The dog’s constant references to Orzel as “Dude” and the overworked jokes about Emmy’s appetite, disdain for cats, and fixation with chasing rabbits, grow old pretty quickly. And the premise crumbles as the dog begins to talk about physics as if she were a graduate student at Princeton. I think anyone who picked up this book thinking that the dialogue with the dog, and the use of dog-world examples, would make physics easier to understand would be disappointed. Orzel’s explanations are clear, but he could have been just as clear without the input from the dog. More important, with or without the dog, a reader won’t get much out of this book without focusing attention on it, frequently stopping to think hard about what Orzel has just written, frequently re-reading paragraphs or whole sections and consulting the glossary at the back of the book. Both the special and general theories of relativity depend on the idea that the laws of physics work the same for observers who are in motion and observers who are stationary, even though an event — such as a person dropping a ball from above his head to the floor at his feet on a moving train — will appear differently to the person dropping the ball and a person observing the event while standing still on the station platform. An interesting thing that comes up again and again in Orzel’s book is the fact that researchers are still discovering implications of these theories that Einstein expounded at the beginning of the 20th century. 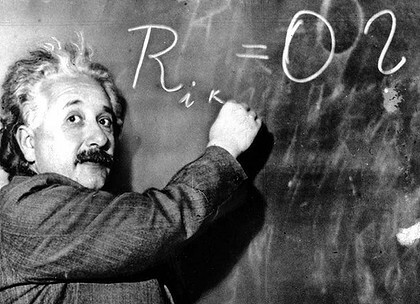 Already Einstein’s work has led to the understanding that the mass of an object is a measure of its energy and the two properties are connected by the constant e=mc²; that time and space are expressions of the same thing; that gravity bends light; that large objects bend space; that a moving object shrinks in length in the direction in which it is moving — the faster it moves, the more it shrinks. 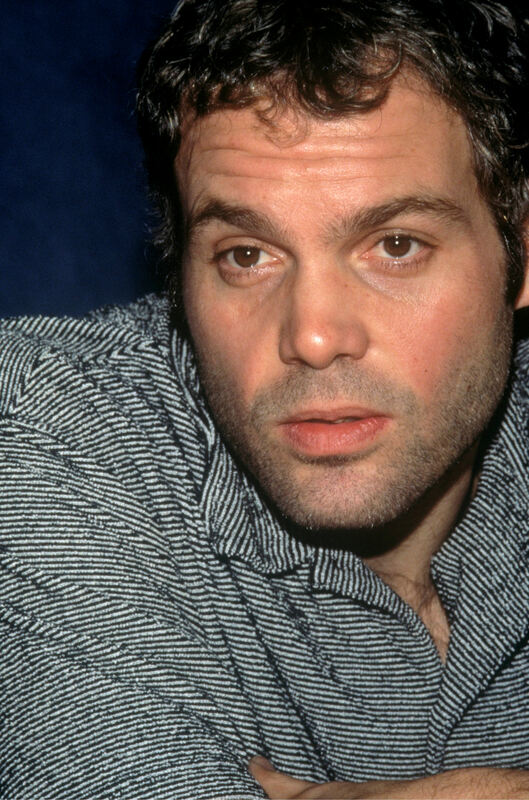 Vincent Donofrio and Marisa Tomei in "Happy Accidents"
I’ve been reading some articles about time travel; it’s a good way to make your head spin without the aid of alcohol. The subject came up because we watched “Happy Accidents,” with Marisa Tomei and Vincent Donofrio. In this film, released in 2000, Tomei plays Ruby Weaver, a woman chronically unlucky in her relationships with men. She thinks her luck has changed when she becomes involved with Sam Deed (Donofrio), until he tells her that he is a traveler from the future – specifically from the year 2470. Sam claims that he saw Ruby’s picture when he was living in Dubuque, and that he traveled through time, to Brooklyn, in search of her – though he doesn’t say why. As any person would, Ruby initially thinks Sam is either joking or deranged, but Sam won’t budge off his story. Ruby is particularly disturbed by a notebook in which Sam has repeatedly sketched the face of a woman — he claims it’s Ruby’s face — and written the words Chrystie Delancey — he claims she’s his “contact,” another time traveler who was assigned to give him his orientation when he arrived in the past — that is, the present. This tale grows quite intense; in fact, I was surprised to see it listed on IMDb as a comedy, because there’s nothing funny about it. It keeps us guessing whether we’re watching a fantasy in which Sam is telling the truth, or a tragedy in which Sam is either playing mind games with Ruby or is insane. Underlying the story itself is the paradox that the notion of time travel to the past always poses — the question of causality. Namely, if time travel to the past were possible, would the time travelers, either by their mere presence or by their overt actions, change the course of events, change the future. I don’t think this movie did very well at the box office, but it’s a worthwhile property. The story is compelling, Tomei and Donofrio are both magnetic, and there are strong supporting performances by Tovah Feldshuh as Ruby’s mother, Holland Taylor as Ruby’s therapist — a pivotal role, and Nadia Dajani as Ruby’s best friend. Several years ago, I read a book entitled The Physics of the Impossible by theoretical physicist Michio Kaku. In that book, Kaku explored some ideas that have been presented over the years in science fiction literature, films, and TV shows, and organized them according to how plausible they were. As I recall, he concluded that under the known laws of physics, time travel into the past was impossible and time travel into the future was possible, but not likely to become reality for many many years. 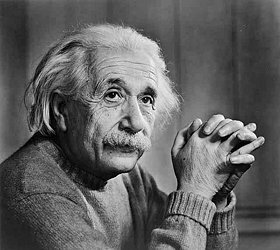 If you’d like to see a somewhat comprehensible explanation of Albert Einstein’s view of time travel, click HERE. 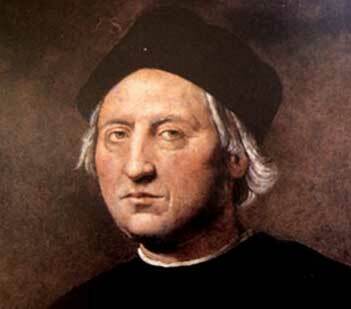 When it comes to killing each other, we humans owe ourselves credit for ingenuity. Long before the Christian era, we were designing elaborate and effective instruments of mayhem — although it turns out that the “flaming death ray” attributed to Archimedes wasn’t one of them. I learned about that this week in a story in the Christian Science Monitor. Although that story was about something that Archimedes did not accomplish, it still left me impressed yet again with the genius of people in what to us are ancient times. 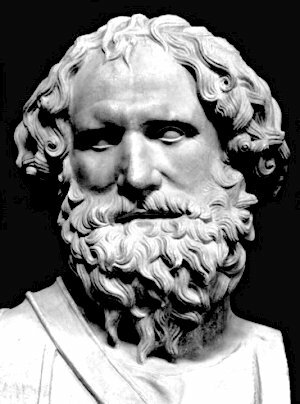 Archimedes was born around 287 BC in Siracusa (Syracuse), Sicily, which was a Greek colony at the time. 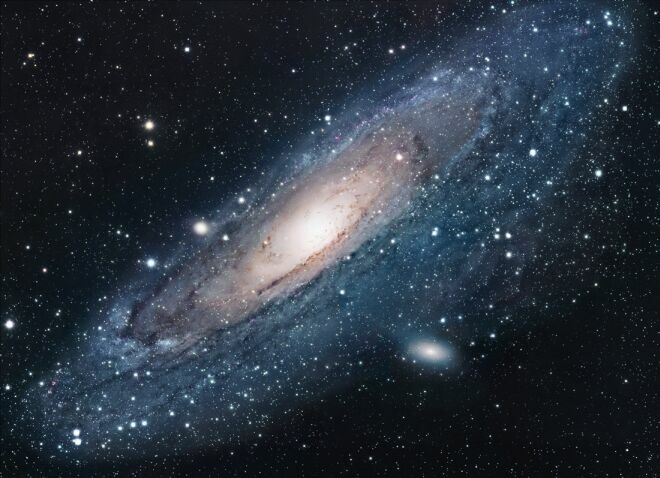 In terms of intellect, he was in the same category as Leonardo, Newton, and Einstein, and he did groundbreaking work in mathematics, astronomy, physics and engineering. Like many of the ancients, Archimedes is the subject of some stories that are either only partly true, possibly true but undocumented, or simply false. 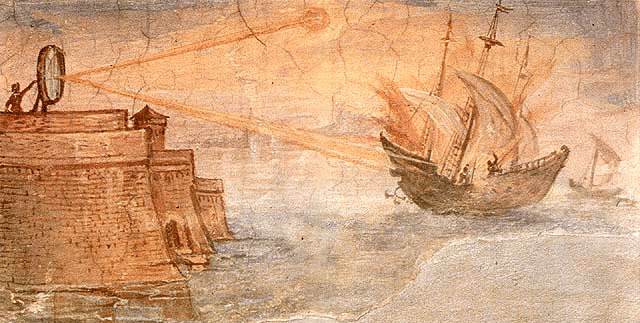 According to one tale, apparently first known in the Middle Ages, Archimedes designed a system in which mirrors were used to direct concentrated beams of sunlight at Roman ships, causing them to catch fire. 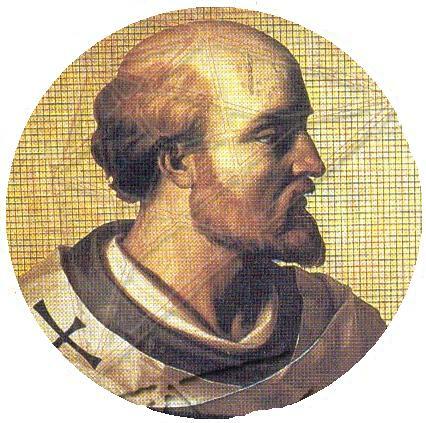 This supposedly occurred during a siege of Siracusa that lasted from 214 to 212 BC, the Second Punic War. 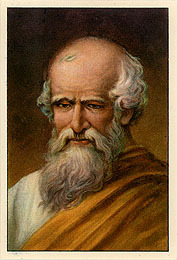 Archimedes was killed by a Roman soldier in 212 during that siege. The Monitor story reports on new findings that debunk the “death ray” story but propose an alternate explanation that, to my mind, is no less impressive. While I’m being a little flippant about this, I never tire of learning about the accomplishments of our forbears in the distant past. I was amused by the headline on the Monitor’s story, which said that Archimedes’ death rays were probably “just a cannon.” Just a cannon – two centuries before the birth of Jesus. 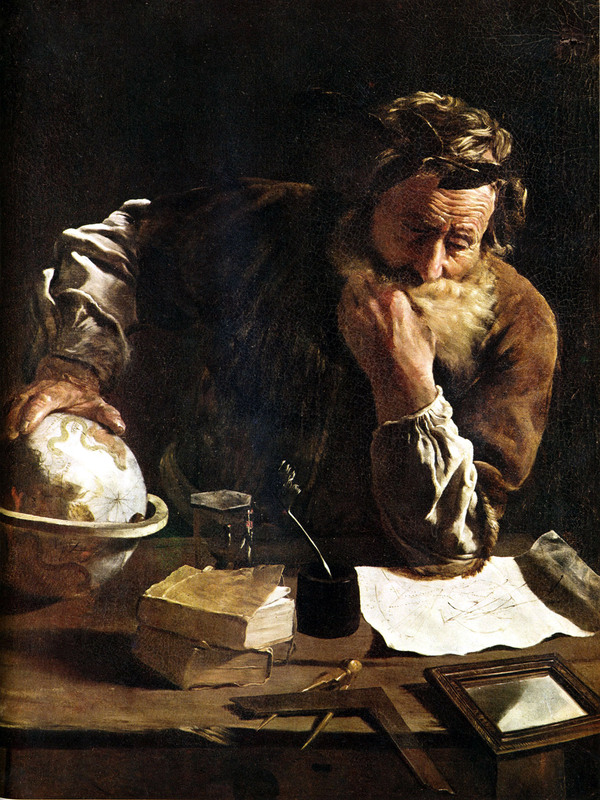 Reading about people like Archimedes reminds me of the potential of the human mind — and of how much more I might accomplish with my own if I were to make the effort. You can read the Monitor’s story by clicking HERE.